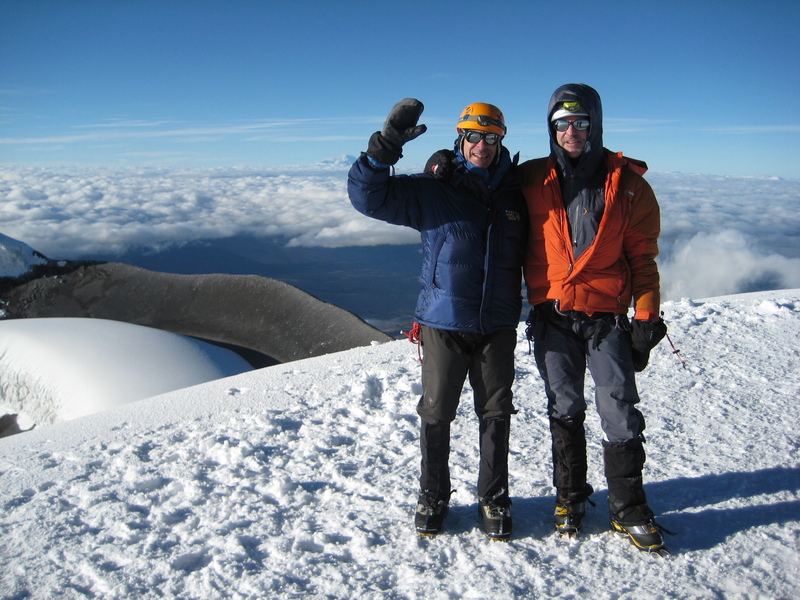 Hi, this is Todd and I’m going to tell you the story about today’s amazing day on Cotopaxi. So, as I guess you may have heard from yesterday’s podcast, we stayed in a refuge at about 15,000 feet elevation. It’s sort of like one of those alpine huts where, I don’t know, 50 or 60 climbers are all sleeping in bunk beds on top of each other and it’s quite a sight and something that you should avoid at all costs. 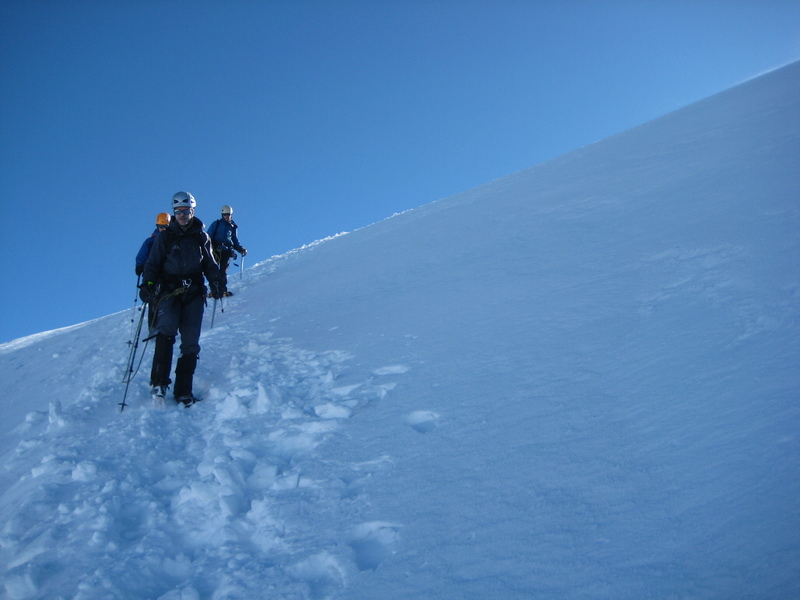 So we got to the refuge, we had dinner at 5:30, went to sleep at 7, woke up at 12 o’clock to start our attempt to climb Cotopaxi. And Jose Luis, our fantastic guide gave us a little pep talk in the morning: “Vamos muchachos. 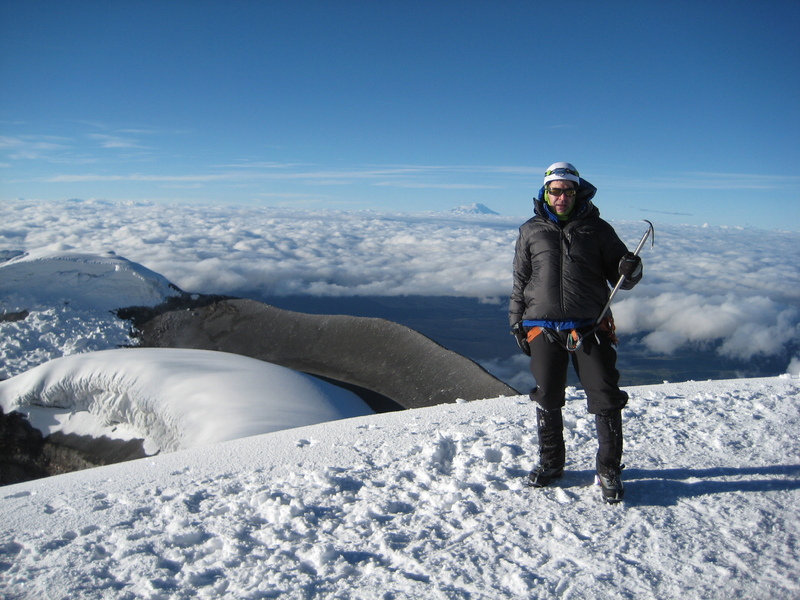 Vamos a la cumbre de Cotopaxi. Right?” So we took off at about 1:15. 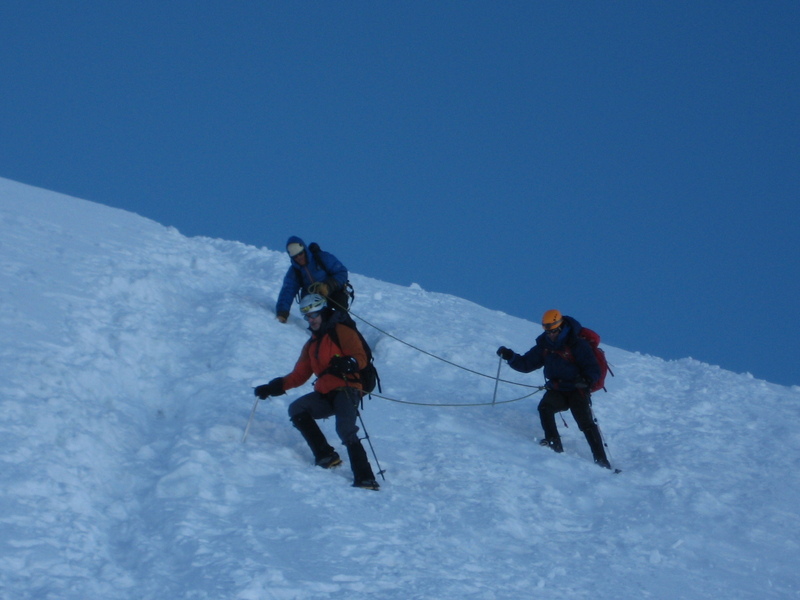 And we had several rope teams marched up the hill. Let me see, what was amazing about it? First of all, we went out and it was a black night with amazing stars. 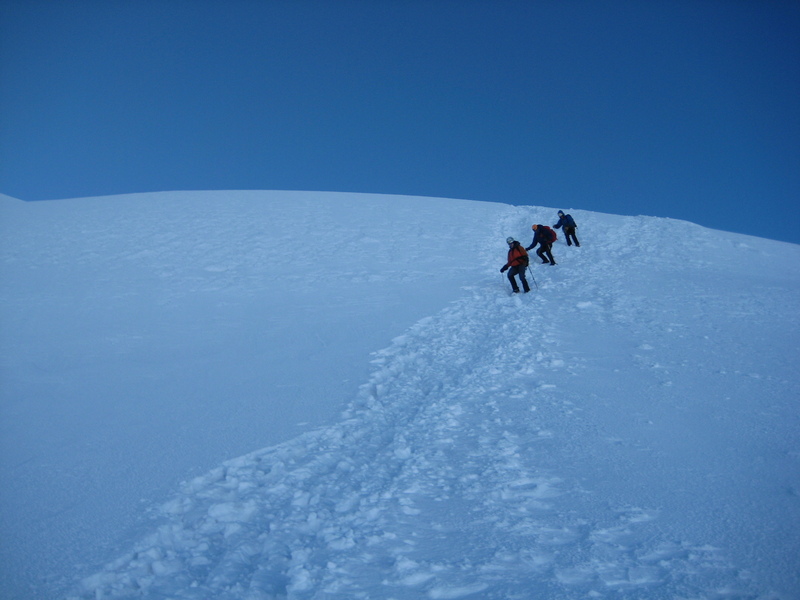 One of the first clear nights we’ve had in terms of trying to attempt these summits. 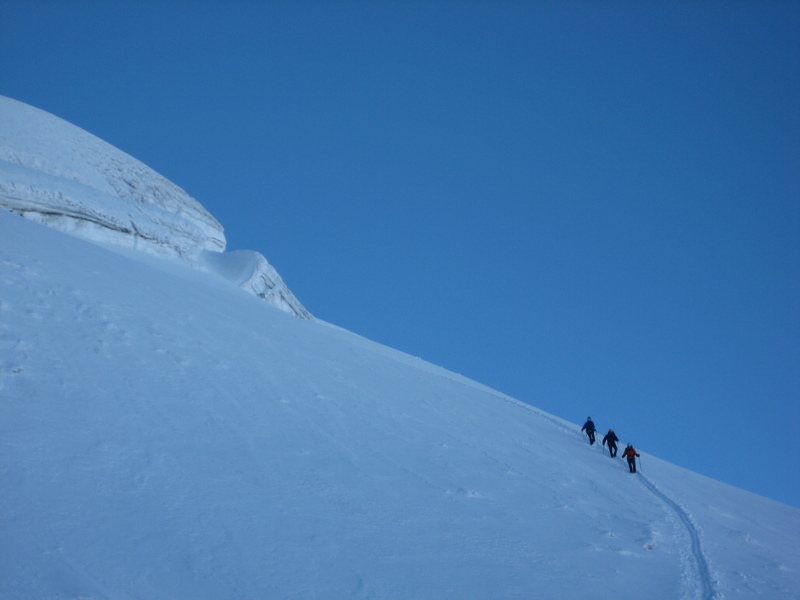 We got onto the glacier, marched up pretty steep, like 45 degree slope for quite some time, saw the sunrise. Here at one point you had the white cloud color down below us, the tops of the clouds were brilliant white, the sky was still black up above, and it was kind of blue and pink in between. It was just an amazing sight to see in the middle of this glacier at 15-16,000 feet. 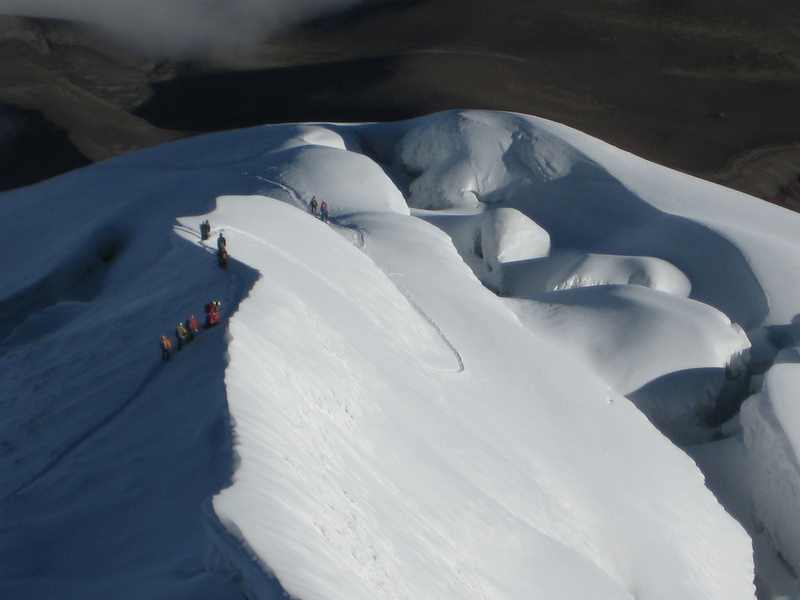 All the rope teams, after about six hours, made it to the summit and as we came upon the summit, I think all of us agreed, it was one of the most amazing sights we’ve ever seen. You could see forever, mountain peaks from very far away sticking up out of the clouds that were below us. The mountain itself is a volcanic mountain, and so there’s a beautiful caldera that was down below us and it was just a blue sky, sunny, perfect day. We all headed down, I guess the round trip was about eight hours or so. And all of us summited, except for Pedro, but Pedro is proud to say that he reached his personal best as far as height on a mountain; he got to about 17,500 feet. So he’s happy with that accomplishment. And we all piled into the bus. 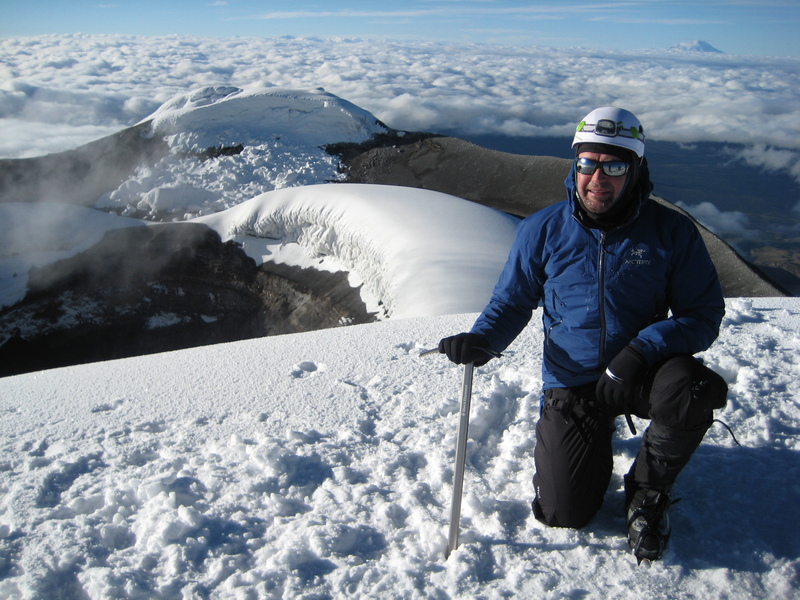 And all of the Houston contingent, including me, are at the end of our trip, and one guy Drew is going to continue to Chimborazo to attempt that in a couple days. So that’s the last you’ll be hearing from at least most of us. Maybe Drew will give a couple more posts before this is all said and done. But a fabulous day on the mountain, one of the most beautiful sights most of us have ever seen. And that’s it. Take care, bye bye. Pedro reporting for Team “Jose and the Ecuadorks” from Tambopaxi. 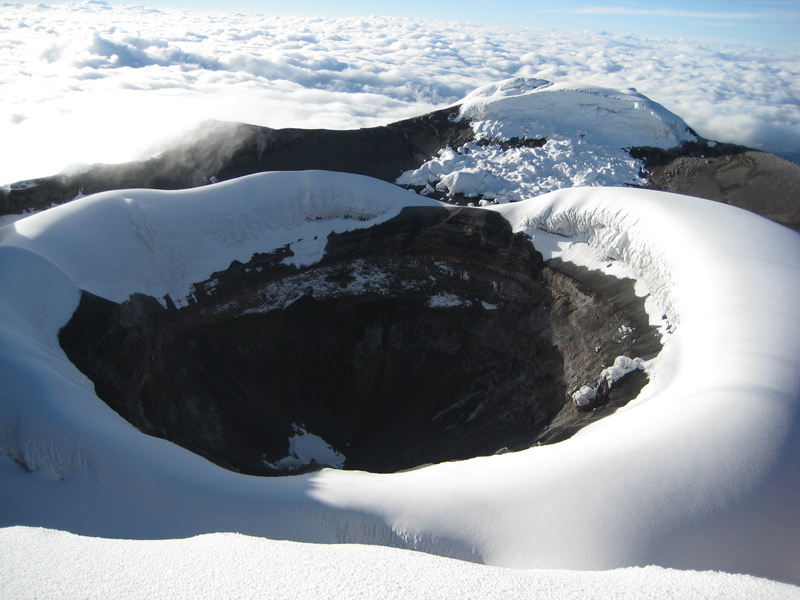 The team is resting and preparing for the Cotopaxi climb. 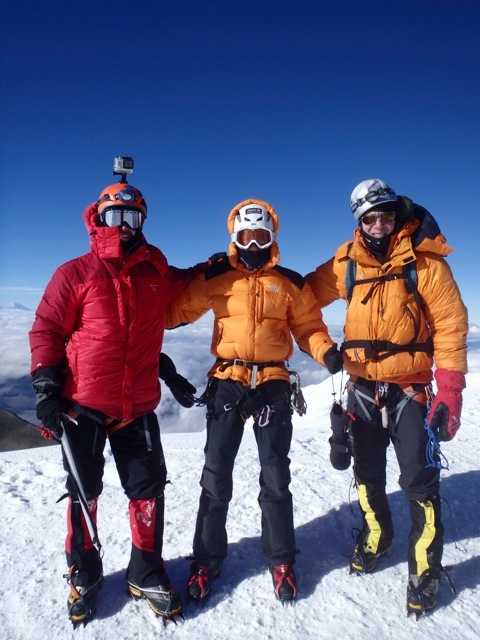 Aconcagua 2013-2014 Expedition Season begins November 30th!